Posejdon hotel is a modern two-storey hotel. 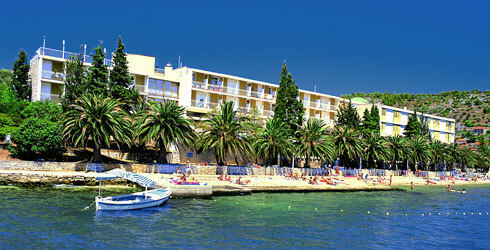 It is situated in Vela Luka bay in the western part of Korcula island, and 1.2km walking distance from the town centre. Posejdon was completely renovated in 2008. Fully renovated rooms are air-conditioned, equipped with bathrooms (showers), satellite televisions, and direct dial phones. A sea passage of 200 meters width separates it from the town centre. The centre can be reached by a taxi boat as well as by a1.2 kilometre road along the sea shore. 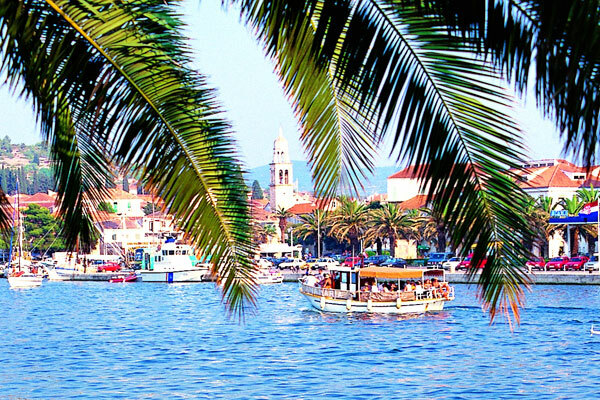 After reaching the town centre, one can spend some time sightseeing amenities as well as the cultural centre of Vela Luka whilst enjoying the melodies of a cappella singing in a beautiful Mediterranean atmosphere. In front of the hotel there are palm trees, pebble beach and a beach bar. 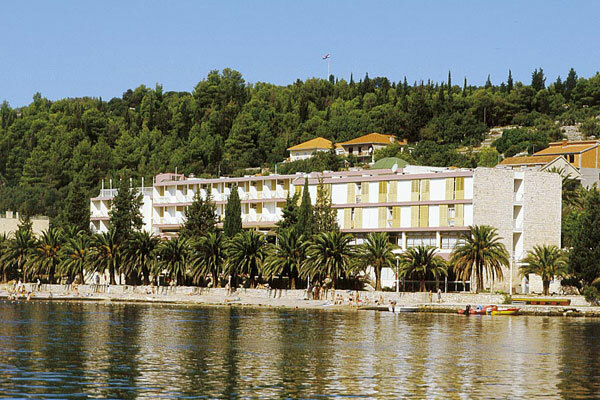 Guests have a terrace with live music at their disposal where they can enjoy a wonderful scenery of Vela Luka bay, daily animation, an cocktail bar, and „Posejdon“ diving centre – one of the most equipped and up-to-date diving centres in Croatia. 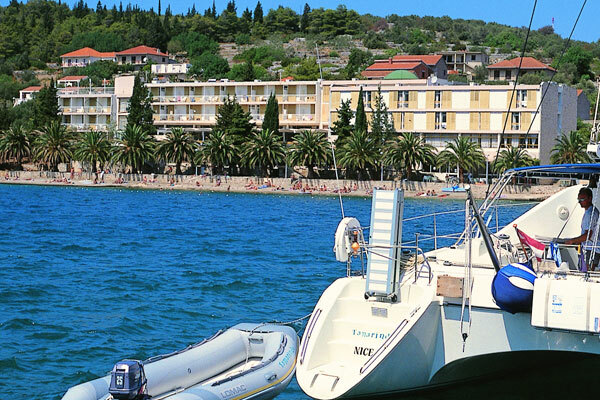 There is also a ferry port terminal nearby that connects this island to other Adriatic islands and the mainland. The facilities and the offer itself, make this hotel the best choice for your vacation.